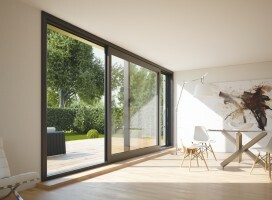 The tilt and slide door from Kommerling is a great alternative to a bi-folding door offering less PVCu sightlines and more glass to see the outside world. 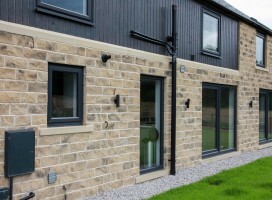 Choose from 2, 3 or 4 pane door systems which can span up to 10 metres - ideal for large openings such as conservatories or open plan kitchen / dining areas. 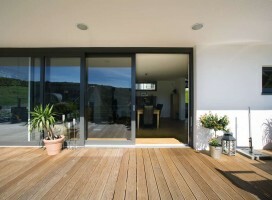 Click on an image below to see examples of Lift & Slide doors available from Composite Doors Yorkshire. 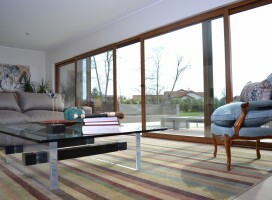 The PremiDoor PVCu lift and slide doors are available in a wide range of colours. The PremiDoor Lift & Slide system is available in over 40 colours ensuring you'll be able to match your new doors to your interior decor perfectly. Contact us for more information on colours available.